The numerical structure of the Bible has been studied closely, being the subject of numerous volumes in the past. But none are more provocative than the works of DR. IVAN PANIN. 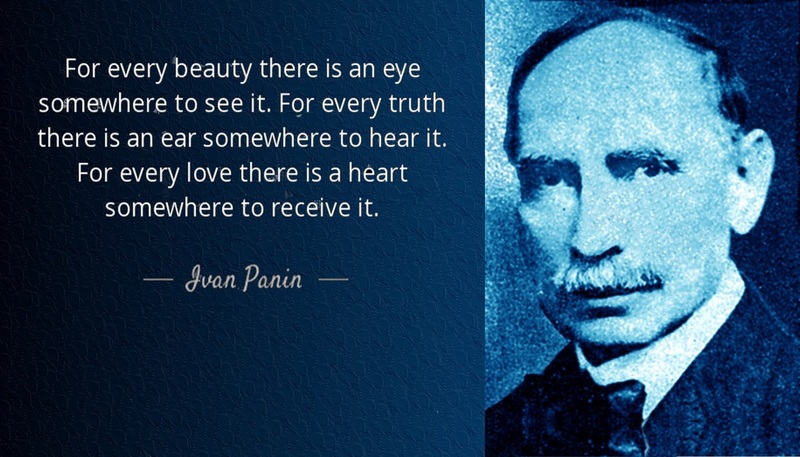 Ivan Panin was born in Russia on December 12, 1855. 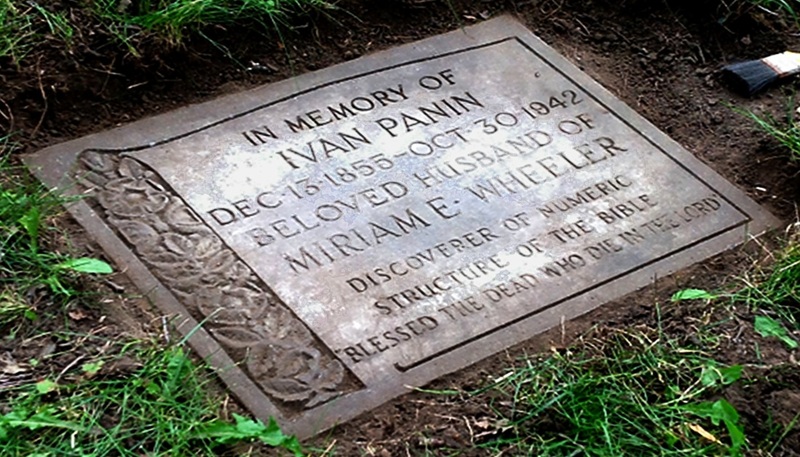 Panin, having participated in plots against the Czar at an early age, he was exiled and after spending some years studying in Germany, he came to the United States, entered Harvard University picking up Greek/Hebrew and graduated in 1882 with high-honors as a HARVARD SCHOLAR with a Master of Literary Criticism Degree. After graduation, he converted from agnosticism to Christianity. In 1890 he discovered few phenomenal mathematical designs underlying both the Greek text of the New Testament and the Hebrew text of the Old Testament. Dr. Panin devoted over 50 years of his life painstakingly exploring the numerical structure of the Scriptures, generating over 43,000 detailed, hand-penned pages of analysis (and exhausting his health in the process). He went on to be with the Lord in his 87th year, on October 30, 1942. 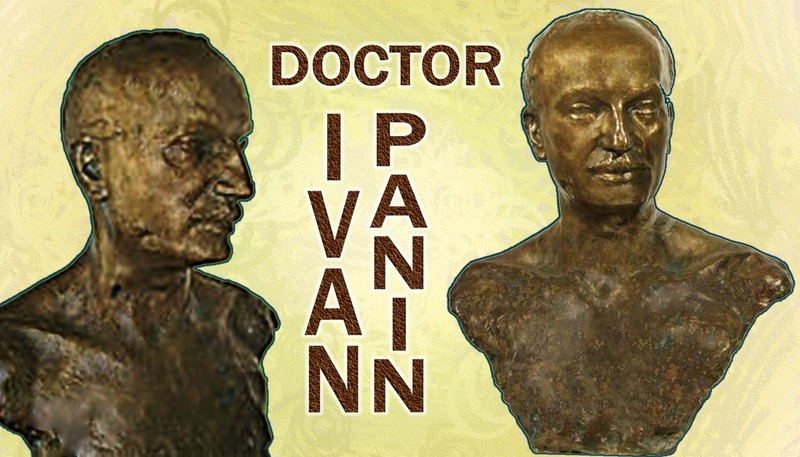 Dr. Ivan Panin was so sure that his discoveries were placed there by the omniscient, omnipresent and omnipotent God and Creator of all things, Jesus Christ, that Dr. Panin responded with a 50-PAGE REBUTTAL of a major newspaper article, featured on November 19, 1899, in: THE NEW YORK SUN, which REFUTED A PUBLIC CHALLENGE by anyone inside or outside of Academia, for "some champion of orthodoxy to come into the arena of the Sun" and give its readers some "facts" in defense of the Christian religion. Dr. Ivan Panin MET THAT CHALLENGE and offered a COUNTER-CHALLENGE to PROVE, REFUTE, CRITIQUE or OVERTHROW his findings, that CHRISTIANITY is indeed true, trustworthy, reliable and a divinely inspired source for both History, morality and useful for finding the One true God and Creator of all things! Dr, Panin even OFFERED a very handsome reward of $10,000 (equivalent to $300,000 today in 2015) to ANYONE THAT COULD PROVE His discoveries were NOT PLACED THERE by SUPERNATURAL ways and means. And no one could/would take up his challenge! The recurrence of the number (7)-seven - or an exact multiple of sevens - is found throughout the Bible and is widely recognized by Bible Scholars world-wide. The Sabbath on the 7th day; the 7-years of plenty and the 7-years of famine in Egypt; the 7-priests and 7-trumpets marching around Jericho for 6-days but on the 7th-day, they marched 7-times around the same wall; the Sabbath Year (the 7th) of the land are well-known examples. Also, Solomon's building the Temple for 7-years, Naaman's washing in the river 7-times, and the 7-churches, 7-lamp stands, 7-seals, 7-trumpets, 7-bowls, 7-stars, and so on in the Book of Revelation, all show the consistent use of the number (7)-seven, from Genesis to Revelation. But why? And most importantly, How? But there turns out to be much more below the surface. DR. IVAN PANIN noted the amazing numerical properties of the Biblical texts - both in the Greek of the New Testament and in the Hebrew of the Old Testament. These are not only intriguing to discover, they also demonstrate an intricacy of design, a web, if you will of mathematical tapestry, which testifies to a supernatural origin, inspiration and design by the will of a Divine Providence. a) The number of words which are nouns is exactly 56, or (7 x 8). b) The Greek word "the" occurs most frequently in the passage: exactly 56 times, or 7 x 8. Also, the number of different forms in which the article "the" occurs is exactly 7.
c) There are two main sections in the passage: verse 1-11, and 12-17. In the first main section, the number of Greek vocabulary words used is 49, or 7 x 7. Why not 48, or 50? f) Total numbers of letters in 49 words is 266=(7 x 38) - exactly! h) The number of consonants is 126=(7 x 18) - exactly. l) The number of words appearing in more than one form is also 7.
o) The number of compound nouns is 7.
q) Only one city is named in this passage, Babylon, which in Greek contains exactly 7 letters. r) The number of words which are not nouns is 7. Of the nouns, 35 are proper names, or exactly 7 x 5. These 35 names are used 63 times, or 7 x 9.
s) The number of male names is exactly 28, or 7 x 4. These male names occur 56 times or 7 x 8. The number which are not male names is 7. 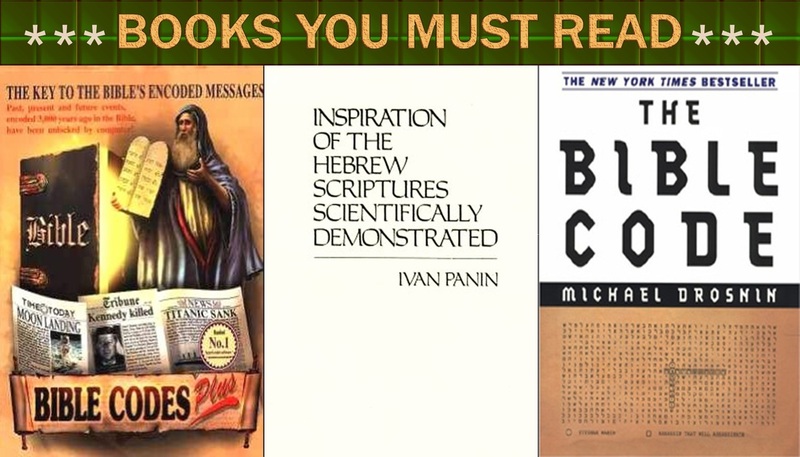 And it goes on and on and on.... To get an indication of just how unique these properties are, Dr. Ivan Panin devoted his life to discovering, then recording these Bible Codes for all the world to see! By the end of Dr. Panin's life, he had acquired 43,000 pages of BIBLE CODES that he had discovered. 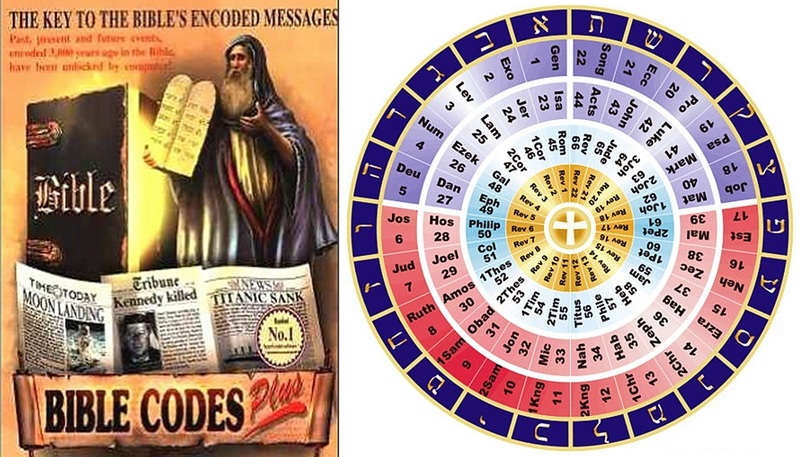 Dr. Ivan Panin was so sure that these HIDDEN CODES had to be placed there by SUPERNATURAL MEANS, whom He believed to be the omnipotent, omnipresent and omniscient CREATOR of all things, JESUS CHRIST, the Lord of glory! These 72 vocabulary words from above genealogy of Jesus, add up to a gematrical value of 42,364, or 7 x 6,052, exactly!! If one Greek letter was changed, this could not happen. The 72 words appear in 90 forms - some appear in more than one form. The numeric value of the 90 forms is 54,075, or 7 x 7,725, exactly!! We will defer other examples of gematrical properties of the Biblical text for subsequent articles, but it becomes immediately obvious, that hidden below the surface of scripture, are intricate aspects of design that cannot be accidental or just mere coincidence. Remember, what the rabbis always say: "Coincidence" is not a kosher word! There are words in the passage just described that occur nowhere else in the New Testament. They occur 42 times (7 x 6) and have 126 letters (7 x 18). How was this organized? Even if Matthew contrived this characteristic into his Gospel, how could he have known that these specific words - whose sole characteristic is that they are found nowhere else in the New Testament - were not going to be used by the other 3-Gospel writers? Unless we assume the absurd hypothesis that he had an agreement with them, he must have had the rest of the New Testament before him when he wrote his book. The Gospel of Matthew, then, must have been written last. It so happens, however, that the Gospel of Mark exhibits the same phenomenon. It can be demonstrated that it would have had to be written "last" or by some other super-natural explanations. The same phenomenon is found in Luke. And in John, James, Peter, Jude and Paul. Each would have had to write after the other in order to contrive these uniquely vocabulary frequencies! You can demonstrate that each of the New Testament books had to have been "written last" or came about by some other super-natural means! There is no human explanation for this incredible and precise structure. It has all been supernaturally designed and implanted upon their human brains, by none other than the Holy Spirit of God. What other possible explanation could one present? We simply gasp, sit back, and behold the skillful handiwork of the God who keeps His promises, from Genesis to Revelation! And we are indebted to the painstaking examinations and lifetime commitment of Dr. Ivan Panin for uncovering these amazing insights. Isn't God and His remarkable Word, fun and awesome in wonder?? No wonder the Psalmist David wrote: 7-TIMES A DAY DO I PRAISE THEE - (Psa 119:164). You think David saw something more below the surface of scripture? silver tried in a furnace of earth, purified SEVEN times! 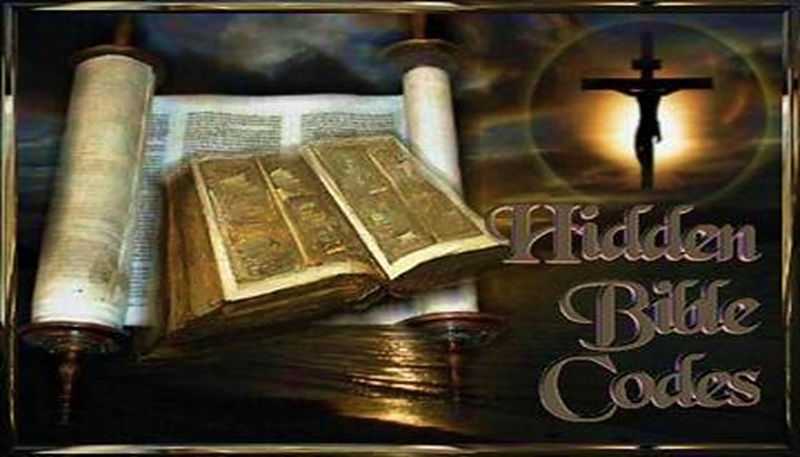 BIBLE CODES DISCOVERED - A MUST WATCH VIDEO!